The last Saturday of September I woke up early, well I don't think I actually slept and I tried on every single article of clothing in my closet, decided on a skirt and top combo. The night before and that morning it was raining like gang busters, I knew I was going to have to wear my hunter boots and take a boat to Houston. Instead I swear I put on two pairs of spandx, I was nervous and I think I ate five cubes of cheese and water for the entire week before. I packed up my portfolio that I spent days working on and updating, made sure I had a copy of my application (even though I spent three hours filling it out online) and threw in my blow dryer and round brush and headed to Houston. Why, did I wear to pair of spandx and try every outfit in closet on...HGTV. They were having interviews (casting calls) for two shows on HGTV, Design Star and another show without a working title (I guess they are ironing out the details). OMG, never, never, never wear two pairs of spandex...why did I think that was good idea? After the drive into Houston I valet parked and ran into the ladies room to quickly rip one pair off. Hallelujah, I could breathe again! I took the elevator to the third floor and found my way to the check in table. Once I was all square away I looked for a seat and thankfully I picked a good one. The group of ladies (and a man) I sat with were the NICEST women. They all had incredible talents, but each and everyone of us (in our group of about 8) had a different focus/talent. One woman was a floral designer from around Fort Worth and had won Craft Wars, another was a designer for a big firm out of Denver (and she was the most polished, tiniest, absolutely precious, with great hair young woman), another worked with hard surfaces for kitchen and bathrooms only, another was a party planner, another was an interior designer, and man (Cory Wagner) in the group was a furniture designer (he was the most talented person in the ROOM I am positive, his furniture was unbelievably beautiful and he wasn't ugly either). All around the room I'd see the best looking people, great personal style and every one was extremely pleasant and sharing their cards, portfolios and information. Sitting their watching, I wanted to throw up the yogurt I had for breakfast ( a mix of nerves and all the beautiful people in one spot). When my name was called I went into the batters box to wait my turn. Next thing I know I'm up and off to interview with this gorgeous woman who made me feel very comfortable and she completely eased my nerves (thank you). She started with the obvious question when people see my name in print...Is that your real name. I explained that under no circumstance would I do that to myself as a nickname, and that it was never a stage name, all in all it is my birth name and no my parents were not tree huggers. She asked me for pictures, both of myself and different projects, continued with question and answers, some laughs and then that was it. She explained that no decisions were made that day and call backs would be made later. They were going to four more cities, and picking twelve people per show (or so that's what was being said while we waiting to have our interview). Basically twenty four people, five cities....eeeeeek the odds are slim. On the application there were a series of questions were you had to rate your ability to do certain things, like style and accessorize, use power tools, hang wallpaper, etc... Looking back now, I probably didn't need to be as honest as I was with those questions. On the wallpaper question, I answered that I can manipulate wallpaper perfectly when I use it as gift wrap...does that count??? Probably not the right answer, but it was the most truthful answer. 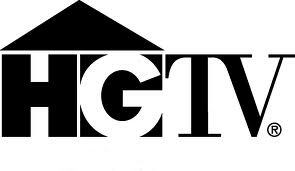 I try to be as open as I can on my blog, so as much as I'd love to say that HGTV called me back, they did not. I know other people might would have keep the whole experience a secret or only shared with family and friends. But I want you all to see that I'll share the good with the not so good. Who's perfect, right? They didn't call, life goes on, I'm glad I went and tried. I talked to one of the ladies from the whole experience and she said Cory Wagner, the furniture designer/creator received a call back. YAY, his portfolio was jaw dropping, I'll be watching to see Cory and cheering him on. Fingers crossed he'll make it. What a fun experience Tikaa! It sounds like you had a great time and met really neat people - and a potential HGTV star! The Myk and Tik Show! They will be the one's missing out if they didnt pick you! and its great you had the balls to go!! GOOD FOR YOU Tikaa! Well, their loss...but I wouldn't be surprised if ole HGTV call back some day. Your 'real-ness' is what brings us back. AND, when you took us on the RT tour last weekend, didn't we say you could do that annually? Your style, pizazz, and humor are a breath of fresh air! Go, Tikaa! I'm proud of you girl. Sorry you didn't get a call back, but they missed out on an awesome talent. Maybe they are formulating a show just for you. In fact, why don't you just tape your life for one day and air the highlights on YouTube. You would be an internet sensation. Keep on blogging. I love GAB. Nice meeting you at Nina's trunk show today. Sorry about about your bad news today. Hope you are feeling better. I got some cool stuffs from the trunk show. Keep in touch. My email is tammytran2005@yahoo.com. Tikaa!!! i didnt know you went!!! that would have been an awesome experience!!! i am so excited for you! can't wait to hear the results!